Several months before going to Beijing as a courier for “Masterpieces of Landscape Painting from the Forbidden City” in October, I checked with my doctor for necessary immunizations. Some shots needed to be taken several months apart and timed to my departure. 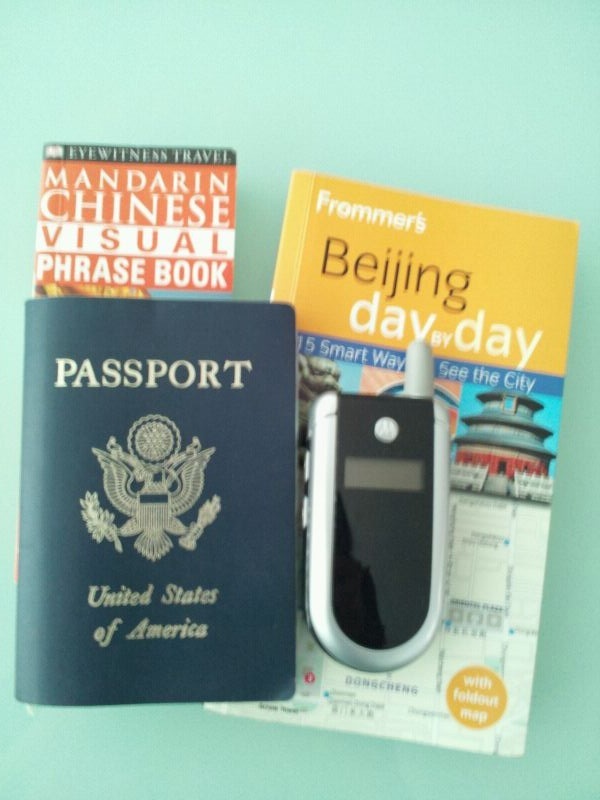 I also needed to obtain a visa from the Chinese Consulate in Los Angeles to visit China. I had to apply for the visa about a month in advance of my departure. I also bought an unlocked world phone on eBay to use in China with a sim card purchased there. A simple guidebook was useful to get a sense of the layout of the city.